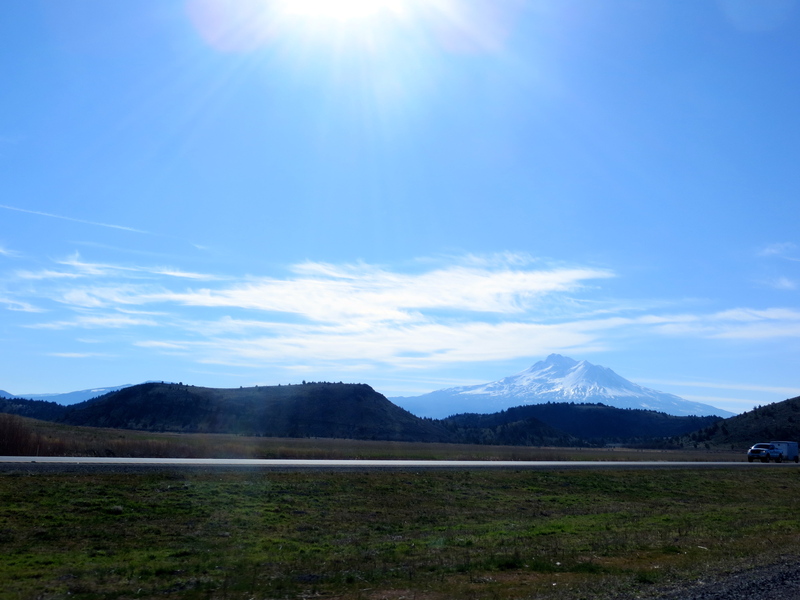 Travelling along the Interstate 5. 1. Travel in a Large Vehicle – our options were limited: a Mini Cooper, 2 trucks or a Ford Focus. Our next 4000km road trip, we’re going to rent a comfortable vehicle. 2. Never Be Overconfident with your Inner GPS – we only had one highway to travel from Vancouver to Los Angeles and back..the Interstate 5. Yet, we reluctantly had to turn on our phone data to have Google Maps help us find our way back to I5 when we somehow went astray. 3. Games are Not Just for Kids – car games help make the time go by faster. Riddle games are the best: “A guy walks into a restaurant, asks for a glass of water. The bartender pulls out a gun and points it at him. The guy says, “Thank you.” and walks out of the restaurant.” This one took us through a good chunk of Washington. 4. Have a Co-Pilot – here’s another riddle for you: If you have 3 people asleep and one person awake, what does the one person want to do? Answer: sleep. Having a co-pilot was a definite must for us. Makes for safe travels, especially while travelling through the night. 4. Audiobooks – Another great way to pass the time was having audiobooks and podcasts to listen to. Thanks, Tina Fey, Ms. Bossypants! 5. Your Secret Zip Code – if you’ve ever tried to fill-up on gas in the US, you may have had trouble when the pump asks you for your zip code. A little secret learned: Take your postal code (i.e. V2H 1P3), type in the 3 numbers from it and then add 2 zeros at the end. (i.e. 21300). Ta-daa!! Works! Just make sure you’re using the postal code that is linked to the credit card you are using. 6. Calorie Counting – This just can’t happen on a road trip. Food = Convenience when you are driving that endless highway. Fast Food. Gas Station Munchies. Embrace the excuse to eat with abandonment. But set boundaries…when the cheese-in-a-can starts to look good, you know that you’re going to the dark side. 7. Pile Up The Fluff – travel with tons of pillows and blankets. They are great for piling up in the middle of the backseat where you can just lean into them and snooze away. 8. Bathroom Breaks – always make time for bathroom breaks, no matter how often you need to stop. No explanation needed there. But I did learn one thing: if you can hold it until you come to a major gas station (and there are plenty along the I5), you will be welcomed with a sparkling clean restroom. They are surprisingly well-kept. But if you have to drive further than a side road to get to the gas station, you might end up in an outhouse. I speak from experience. Stupid bladder. 9. Freshen Up – when you’re on a long road trip and choose to drive straight through the night until you reach a McDonald’s for breakfast, remember to grab your toothbrush and head to the washroom to brush those pearly whites. Your car-mates will be glad you did! 10. Have Fun – enjoy the experience of being crammed in a car filled with junk food, people, pillows, garbage, smells, music, laughter. It may not seem like fun for many but road trips are all what you make of them. Enjoy the ride! Reblogged this on Modernman's Blog.